"More and more cities around the world are running into limits on how much water they have available to meet their needs," said Peter Gleick, co-founder of the Oakland-based Pacific Institute and an expert on water and climate issues. To understand the potential dangers, U.S. officials might look halfway around the world, to parched Cape Town, South Africa, where residents this year faced a crisis that seems straight from science fiction. After three years of drought, the city of 4 million spent months united in a struggle to fend off Day Zero, when Cape Town was projected to become the world's first major urban center to run out of water. Residents skimped on dishwashing and laundry, took minishowers, washed their hands with sanitizer, flushed the toilet with leftover shower water, and made numerous other sacrifices to daily routines. The objective: to cut individual water consumption to 50 liters a day, or 13.2 gallons, far below the U.S. average of 80 to 100 gallons. Hundreds queued up for daily water rations as the city deployed law enforcement officers—widely dubbed "the world's first water police—to enforce restrictions. The picture of a coastal metropolis going without water once seemed inconceivable. But as a waterless Cape Town has become a potential reality, its story has sparked new concerns over the growing scarcity of the planet's most basic resource. One critical water resource threatened by shortages is the Colorado River System, which includes parts of seven states and provides water for up to 40 million people. In the absence of "timely action to ensure sustainability," the U.S. Bureau of Reclamation said in a 2012 assessment of the river basin, "there exists a strong potential for significant imbalances between water supply and demand in coming decades." The Environmental Protection Agency, in a January 2017 snapshot of the impact of climate change, predicted that the Southern Plains will face more "extreme heat" in the future, saying that the number of days of 100 degrees or hotter will quadruple by 2050. "Increasing temperatures and more frequent and severe droughts," the EPA said, "are expected to heighten competition for water resources for use in cities, agriculture and energy production." Adding to America's water insecurity is a decadeslong decline in groundwater resources, which supply half of the nation's residents and nearly all of its rural population, according to the U.S. Geological Survey. "As more wells and deeper wells have been drilled to access groundwater, it exacerbates the groundwater level decline and there is often no way to get that back," said Breton Bruce, a scientist with USGS in Denver. "Basically, we are pumping groundwater faster than it recharges." Large sections of the United States are all too familiar with drought and its devastating impact on both surface and groundwater. Over the past decade, Texas and California endured—and are still recovering from—record multiyear droughts that plunged lake levels, killed millions of trees, and cost billions of dollars in lost crops and livestock. Georgia went through four droughts from 1998 to 2016. Arizona has been confronting drought throughout the 21st century. Two small communities, East Porterville in California and Spicewood Beach in Texas, drew national attention during their states' droughts after their wells ran dry and outsiders came to the rescue with water deliveries. As many as 30 other Texas communities came close to running out of water during the drought, according to press reports. "Things were grim. I didn't get water for 20 months," recalls Jim Burr, a peace justice and 33-year resident of Terlingua, a small community of about 800 people in the remote Big Bend region of Texas. After his 16-foot-deep well ran dry during the height of the last drought, Burr was forced to dig another that extended 45 feet deep. Brian A. Fuchs, associate geoscientist and climatologist at the National Drought Mitigation Center at the University of Nebraska-Lincoln, said the Southwestern drought that started in October is "the most intense, significant drought area that we have going on right now." The ultimate impact, he said, depends on how long it lasts. For now, he added, "the jury is still out." "It's one of those situations where time is definitely going to tell," he said. "If we see conditions continue to worsen over the next six months without any improvement, the situation is going to be a lot more significant than where we're at right now." "Water is fundamental to all the interests," said Luke Metzger, executive director of Environment Texas, "and, at times of scarcity, it can be a feeding frenzy, where all the interests are competing for a finite supply." Water necessity has also led to innovation. Two Texas cities—Big Spring and Wichita Falls—have drawn accolades from environmentalists with projects to recycle waste water into potable water. In 1980, Arizona enacted what has widely been hailed as a pioneering initiative with its Groundwater Management Act, which, among other things, required new developments to prove they could assure enough water to last 100 years. "Arizona has had a longtime history of marshaling its water forces," said Doug MacEachern, communications administrator for the Arizona Department of Water Resources. MacEachern said the state uses less water overall today than it did in 1957 when there were at least 5 million fewer people. "We're running fast to try to make ourselves resilient for the long term," said Felicia Marcus, who chairs the California State Water Resources Control Board. In Texas, memories of destructive droughts and fears of future water shortages prompted voters in 2013 to create the State Water Implementation Fund for Texas (SWIFT) to help ensure abundant water supplies through 2070. The initiative empowered the Texas Water Development Board to authorize low-interest loans and other incentives to finance municipal and regional projects envisioned under the state's long-range water plan. "In general, there's enough water for the projected future population ... if we do it right," said Janice Bezanson, executive director of the Texas Conservation Alliance. She acknowledges the potential of "case by case" shortages in small communities, but said that the state is "planning far enough in the future" to assure its cities of sufficient water resources. 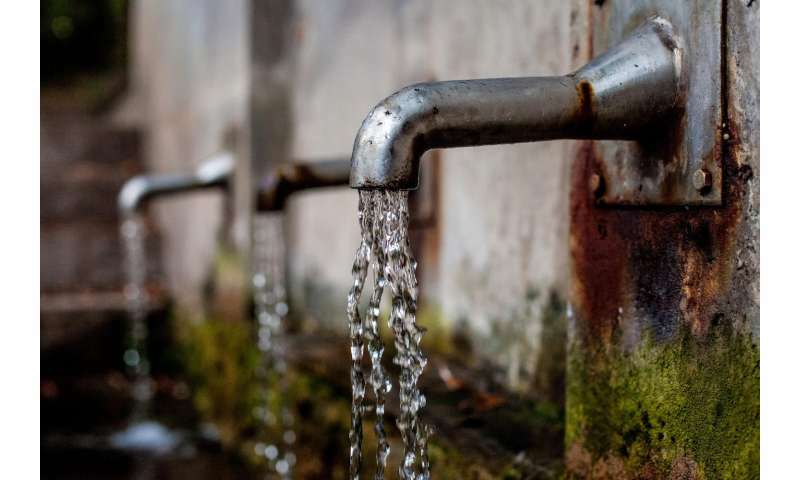 Meanwhile in Cape Town, Executive Deputy Mayor Neilson said the race against Day Zero has fundamentally redefined the city's water strategies. Officials there, too, want to find alternatives. The city, which doesn't have a reliable source of groundwater, draws its supplies almost exclusively from surface water in its six major reservoirs. Neilson said officials have learned that they'll need to diversify their water supply to other sources: groundwater where possible, along with water re-use and desalination. "You start off from having years of luxury and having plentiful water," he said. "You have certain behaviors that you develop, and you then have to teach yourself to do things differently."